Vendor, HCMS, and ATS Partners | AccuSource, Inc.
AccuSource continuously identifies, develops and nurtures key relationships to provide our clients with a broad variety of integrated and companion services. We partner with industry-leading Applicant Tracking Software (ATS), Human Capital Management Services (HCMS), and recruiting organizations to make your hiring process faster and easier, ensuring full system integration and single sign-on capabilities. Hiretouch is a premier, cloud-based applicant tracking system utilized by many higher education and government organizations. Preferred Partner. NEOGOV is the leading on-demand human resources software for the public sector. Preferred Partner. iCIMS is one of the largest ATS providers in the industry; offering an enterprise end-to-end talent acquisition platform. Preferred Partner. Oracle TBE Cloud Service is the leading recruiting software and e-Recruitment solution for small and medium-sized organizations. Preferred Partner. BullHorn ATS is the fastest applicant tracking system on the market, helping you to make better decisions and streamline candidate management from sourcing to submittal. BirdDogHR is a cloud-based, compliance-focused solution created to simplify employment branding, job distribution, candidate management and reporting. PeopleAdmin TalentEd delivers innovative solutions to K-12 organizations by empowering data-based talent management decisions. Balancetrak is a scalable ATS designed to organize hiring activities through automated workflows, precision hiring and employer branding. PeopleFluent has worked with over 5,100 organizations across the globe to engage employees and drive better business results. Ultimate Software specializes in HR software solutions to improve companies’ human capital management efforts. Greenhouse is an ATS and recruiting software designed to assist employers in optimizing recruiting processes. Click Boarding helps human resources professionals onboard new hires with an easy cloud solution. myStaffingPro is an ATS focused on helping employers to attract, recruit and onboard the best candidates. HealthcareSource provides talent management software centered around recruiting, performance and learning for more than 3,000 healthcare organizations. HRNX integrates hundreds of cloud-based HR applications, systems and services to save HR professionals time, effort and money. Frontline Recruiting & Hiring specializes in applicant tracking services for K-12 organizations. Onboarding systems provides companies of all sizes with solutions for better onboarding. ABD’s flagship product, Ultra-Staff, connects companies with candidates and clients through integrated front office, back office and web suite solutions. FastWorkforce provides recruiting, applicant tracking and labor/time management services to businesses of all sizes. PeopleStrategy empowers organizations by reducing costs, enhancing organizational insight and improving job satisfaction. SilkRoad delivers personalized experiences to activate candidates throughout their employment journeys. Tenstreet offers integrated driver recruiting software and solutions to help trucking companies recruit, hire and manage truck drivers. Vikus is a leading senior care hiring software focused on reducing turnover by improving job posting, assessment, interviewing and onboarding processes. 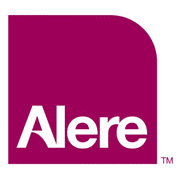 ADP Recruiting Management tailors the candidate experience and offers a flexible workflow. Virtus empowers religious organizations to better control risks and improve the quality of life for members. Have questions about integrating your ATS with AccuSource’s Background Screening software? Form I-9 Compliance provides advanced, proactive technology solutions for Form I-9 and E-Verify compliance. Premier Biotech is a leading manufacturer of high-quality rapid drug screening devices and kits. Sentry MD eliminates the manual processing of health forms by managing medical files and providing compliance reports. SambaSafety is the leading provider of driver risk management software in North America. LabCorp operates a worldwide laboratory network specializing in lab-based drug and occupational medicine screening. Quest Diagnostics offers one of the world’s largest network of clinical labs with expertise drug and occupational medicine screening. MorphoTrust USA captures and transmits biometric and biographic solutions through advanced fingerprinting capabilities. Tazworks is the leading background screening technology provider in the United States. 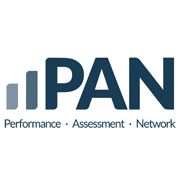 PAN is a leading provider of talent measurement solutions worldwide; providing psychologist-created assessments for organizations worldwide. Central Drug System provides Medical Review Officer services for a variety of industries and organizations in the United States. eScreen is one of the country’s largest third-party administrators of workplace drug testing. uConfirm® verifies employment and income data – eliminating manual processes for employers. 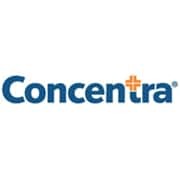 Concentra is a national healthcare company providing occupational medicine from more than 500 medical centers in 44 states. BountyJobs is the leading technology for employer and agency collaboration helping employers find and hire the best talent, faster.